The road to Omey at low tide. 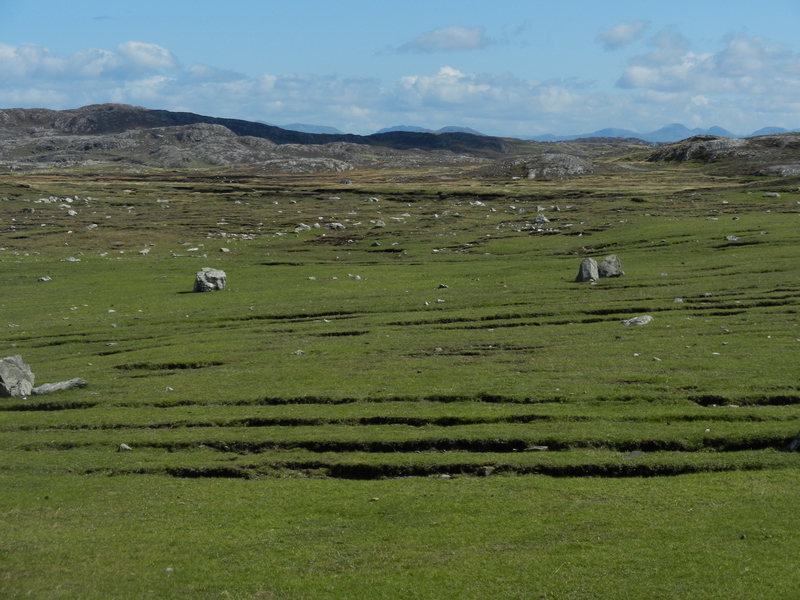 It’s not every day you get to walk out to an island; but then Omey is only sometimes an island. 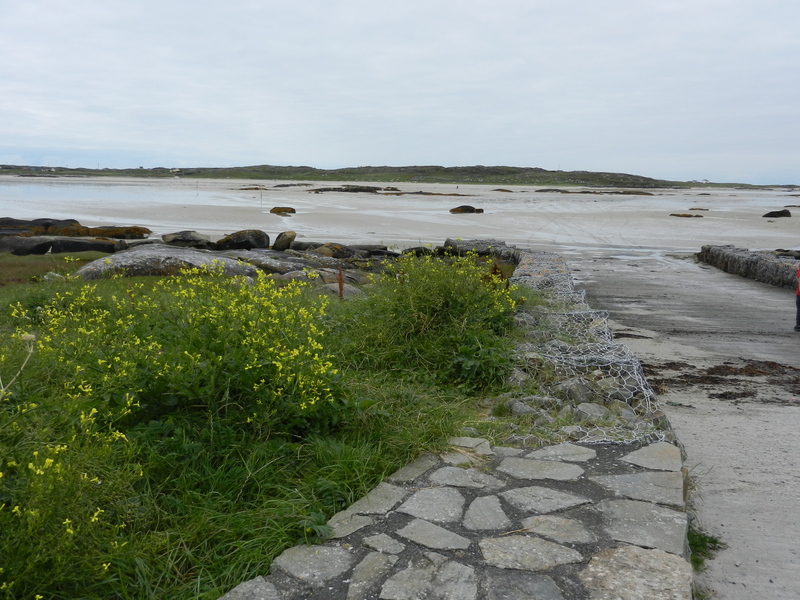 Omey lies just off the Connemara coast and is accessible via a sand bar which is revealed only at low tide. The rest of the time it’s just like any other island. 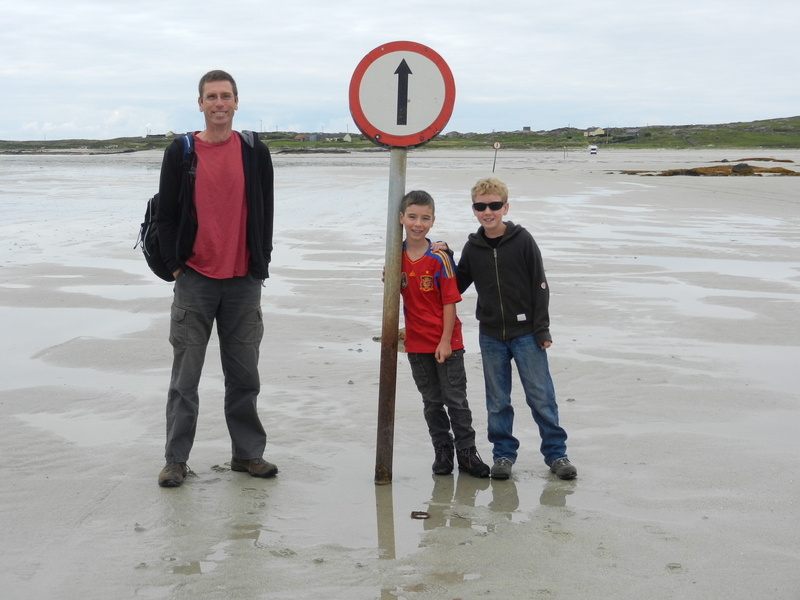 We walked over to Omey, following the road signs in the sand, largely because we weren’t sure how our hire car agreement would go if we had a problem. Of course, if we had had a problem explaining that we were two hundred meters offshore would have been fun. Omey was once home to a couple of thousand people, but now there are only twenty residents. We didn’t see a soul on the island although we passed a couple of cars driving over the sandbar road. 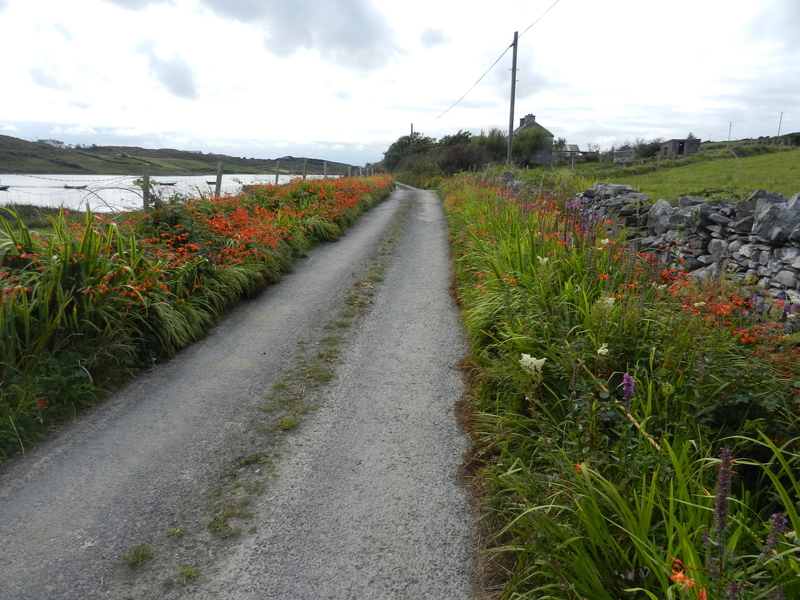 There’s a pretty walk around the perimeter of the island with great views over the Atlantic. Today the water was like a millpond all the way to the horizon. It was really quite eerie. 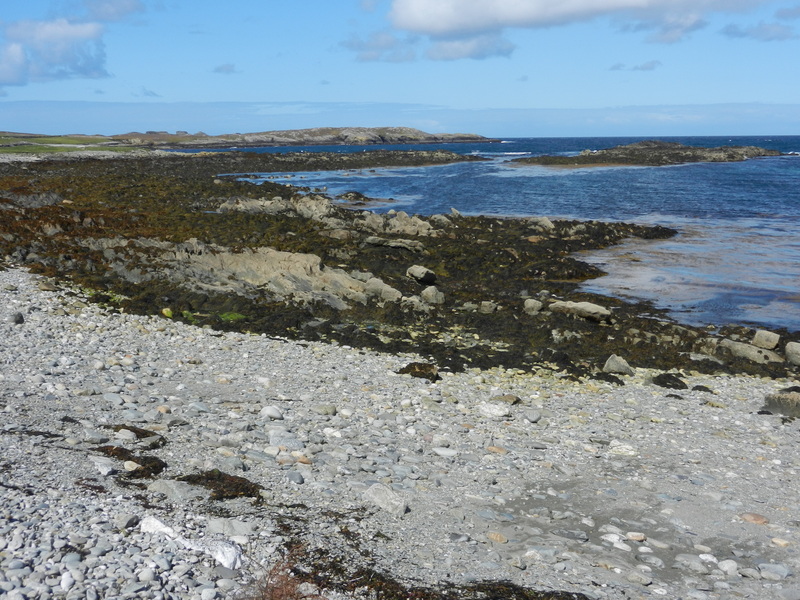 The island is dotted with middens filled with small sea-shells demonstrating both how long it has been inhabited and the tough existence the inhabitants had. 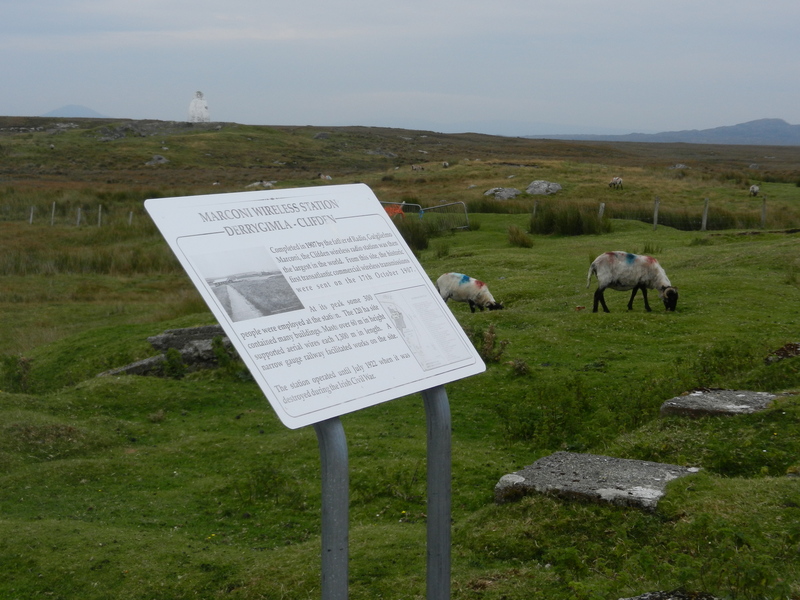 We had lunch in nearby Cleggan where the pub had a newspaper front page from 1927 detailing the tragedy that struck the area when a huge storm sprung up and sank the entire local fishing fleet with 31 lives lost. The paper describes the hand-to-mouth lives of the local farmer-fishermen and the devastation wrought when that many bread-winners disappeared from the small communities. They died because they simply could not afford to abandon their nets which represented an extraordinary investment for them. It wasn’t long ago that this was one of the poorest areas in Europe. 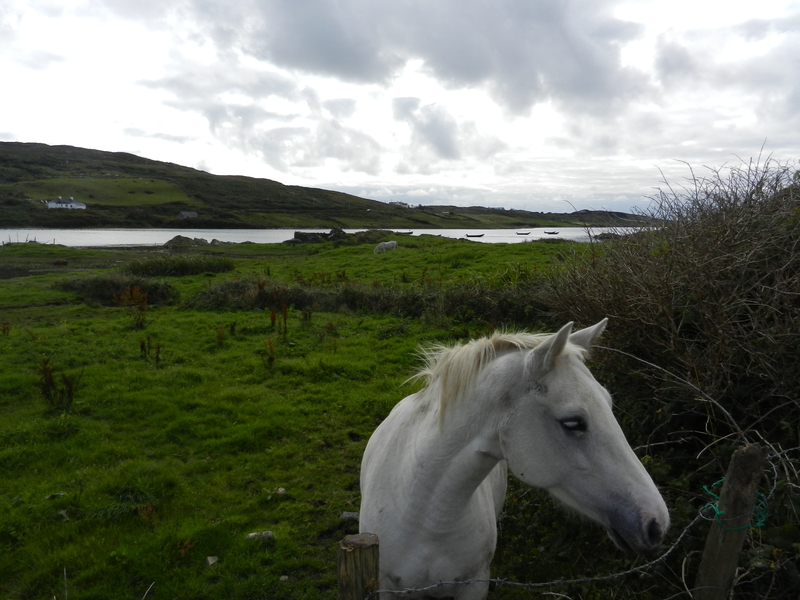 Anyway, back to Omey which in addition to its 20 residents is home to a donkey, a herd of cows, innumerable birds and rabbits. The boys were thrilled to see a rabbit and try to stalk it. 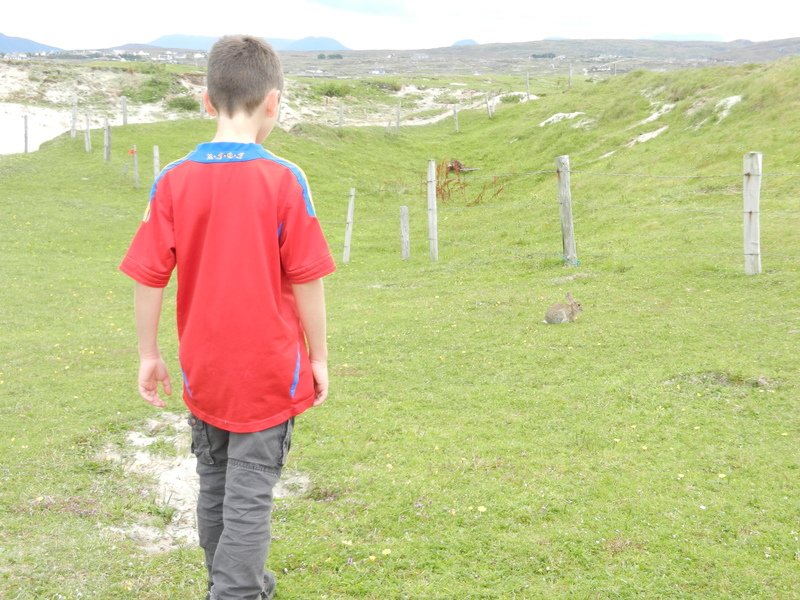 I reckon the bunny was on its last legs considering how close it let Declan get. 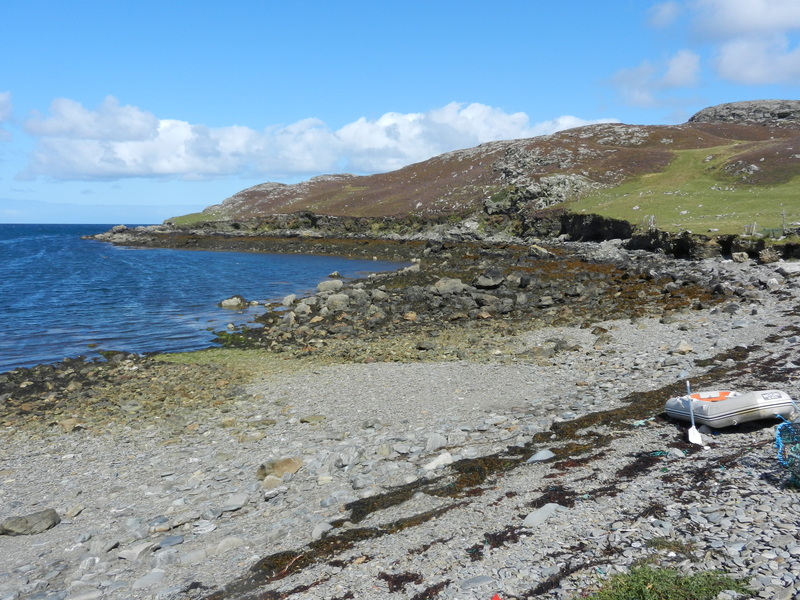 The rabbit disappeared down a hole, and we headed back over the sandbar before the tide made Omey an island again. We’re increasingly aware than in a couple of week’s time we’ll be walking the Inca Trail and so we decided today was a good day to walk up a hill for practice. The hill in question was also, by chance, particularly appropriate because it turned out to be a hill climbed by one of our favourite bloggers and her family a couple of years ago. 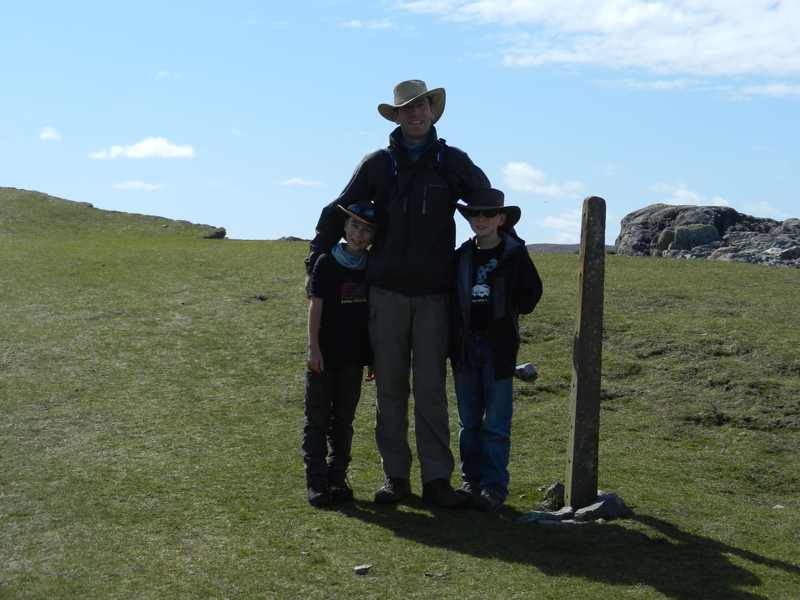 It was this same blogger, WanderMom, who we turned to for advice on walking the Inca Trail with children. 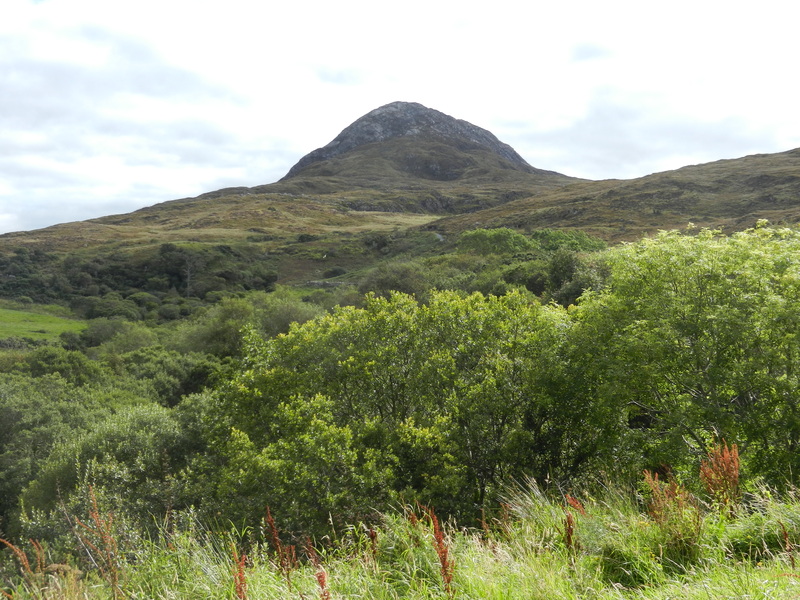 So climbing the hill in Connemara National Park gave us a bit of check on her standards as a walker! 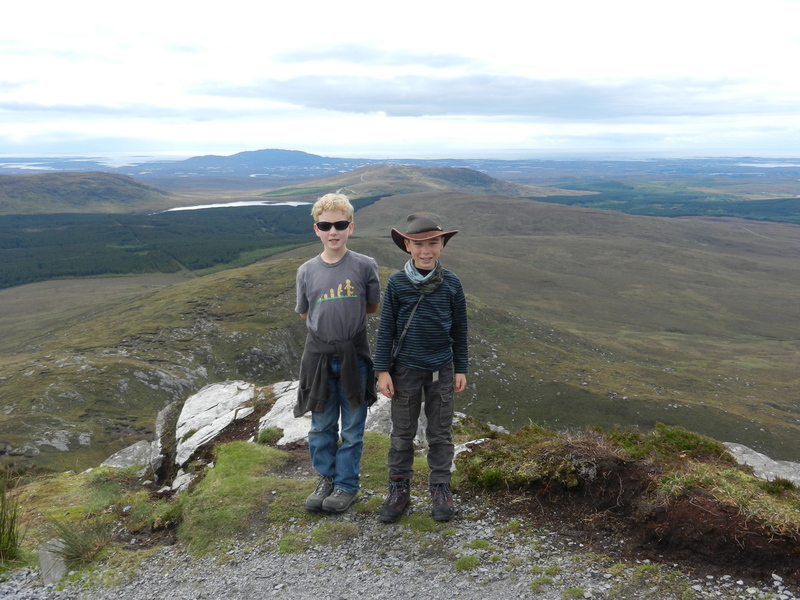 It was a lovely walk up to the top of Binn Ghuaire. The first section is relatively flat and on an easy wide path, but as you ascend the path deteriorates and gets steeper with each step. The final section is basically clambering on the crags to the very summit. 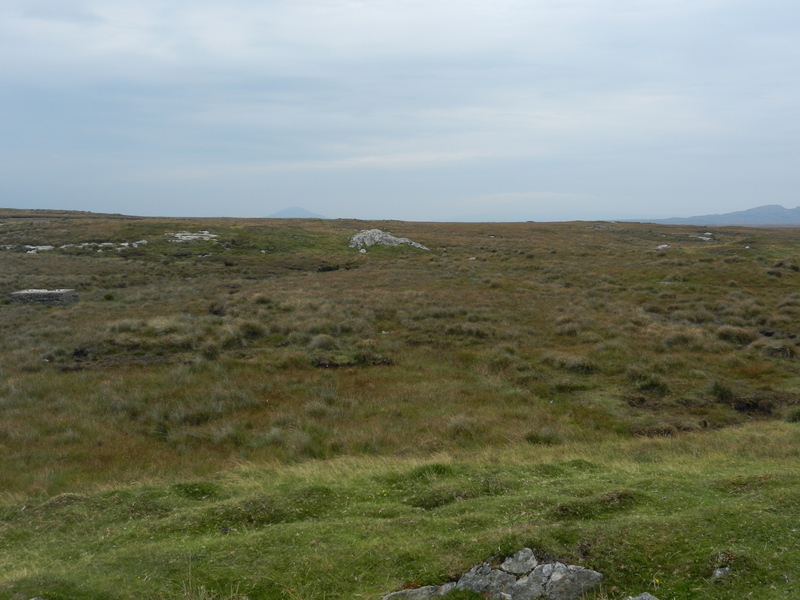 The view from the summit is amazing with clear views to the horizon all the way around. Looking out across the bays to the islands on the Atlantic coast is particularly beautiful. We had our lunch at the very top of the hill while clouds of local insects lunched on us. Which may have been fair, but was somewhat irritating. 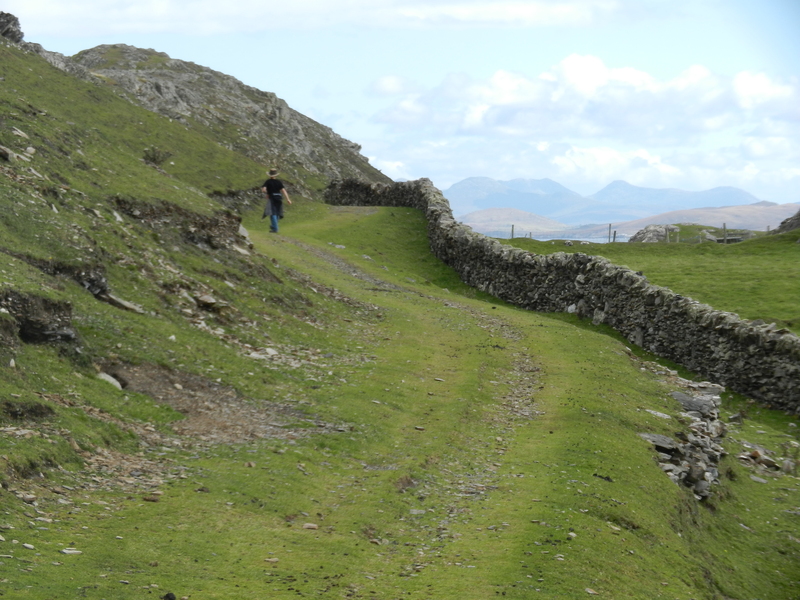 Of course as Inca Trail training goes our hill was small stuff. We went up about 400m and we’ll be doing about double that on the third day of our walk; twice, and at a starting point 2500m further up. 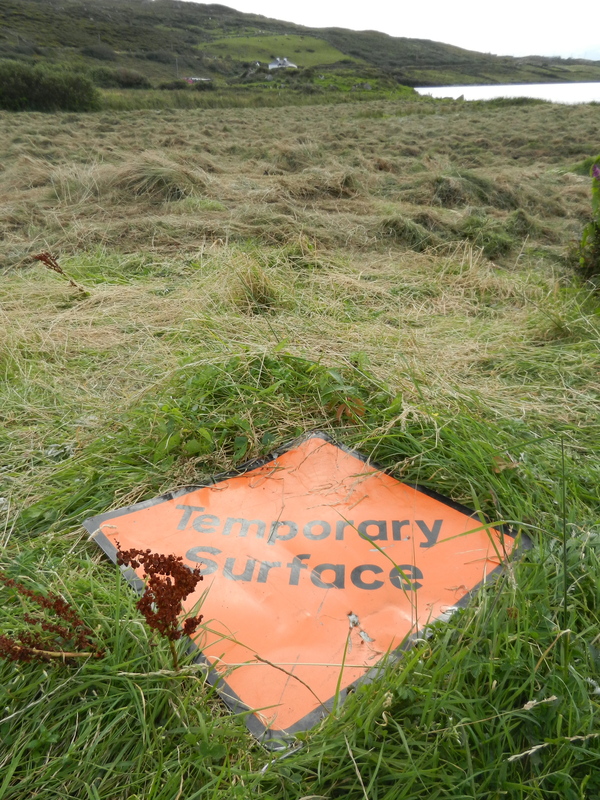 Then again, with a bit of luck we wont have the insects to contend with. As always, WanderMom’s description of the same walk was dead-on. 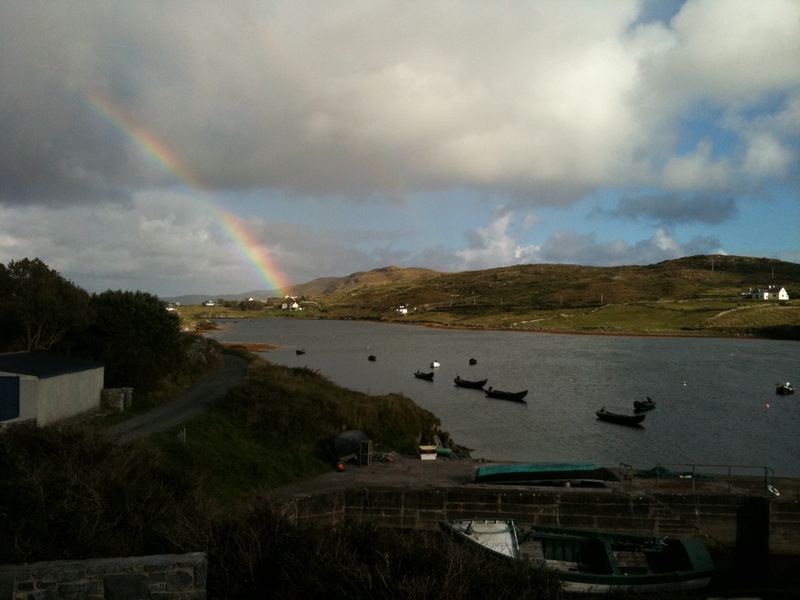 Leaving Clegan harbour on the way to Inishbofin Island. 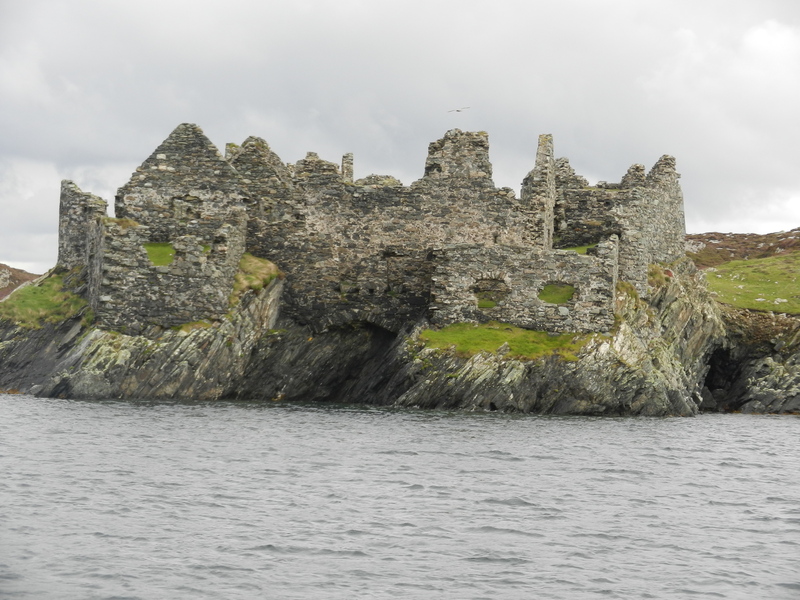 Cromwellian fort at the entrance to Inishbofin harbour. 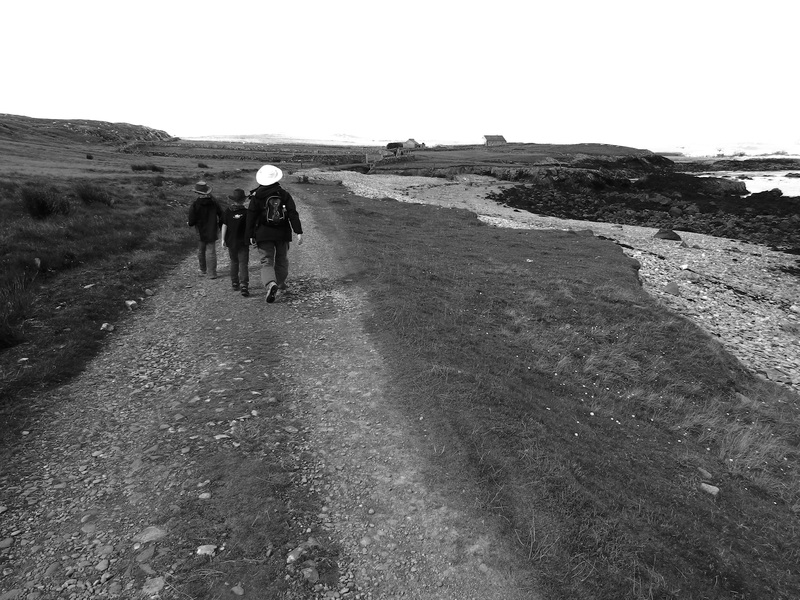 Starting our walk around Inishbofin. 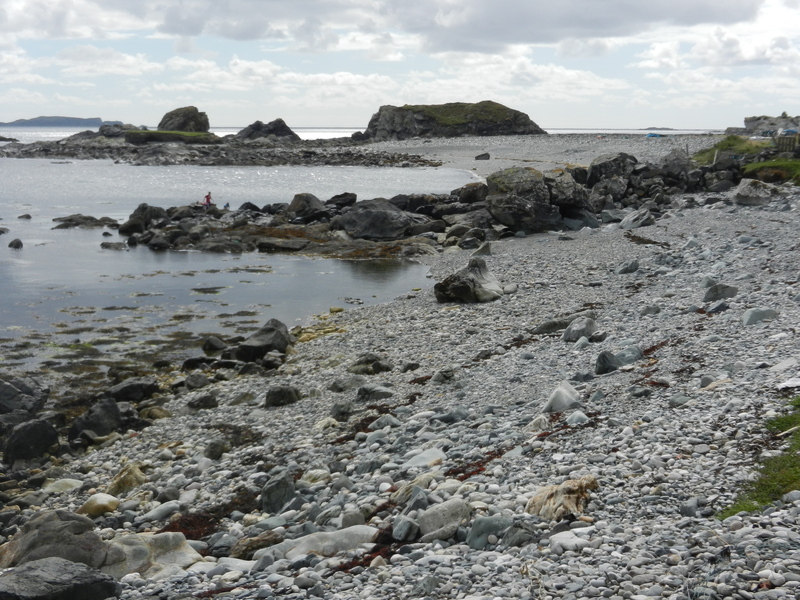 A pebbly beach on inishbofin. Declan managed to skip a stone eight times. 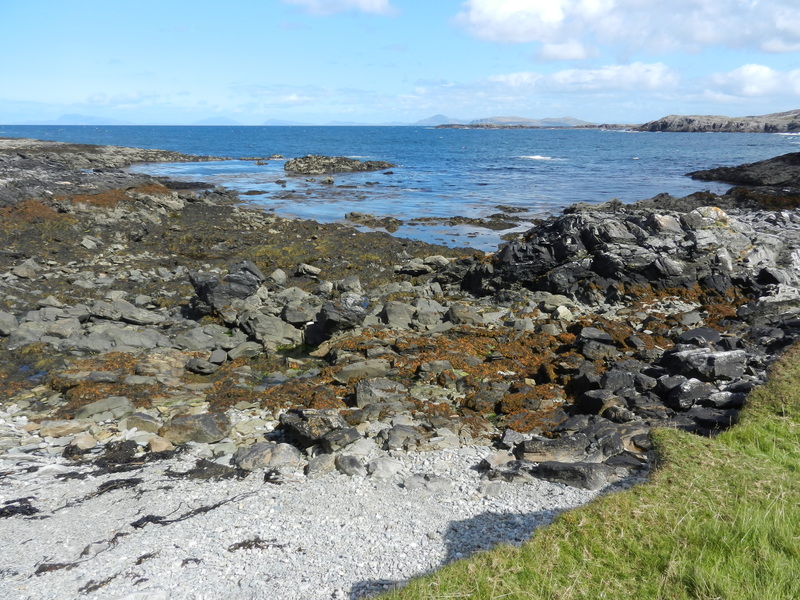 Another Inishbofin beach - hey it's an island, beaches happen a lot. Around Starvation Road - what a great name. 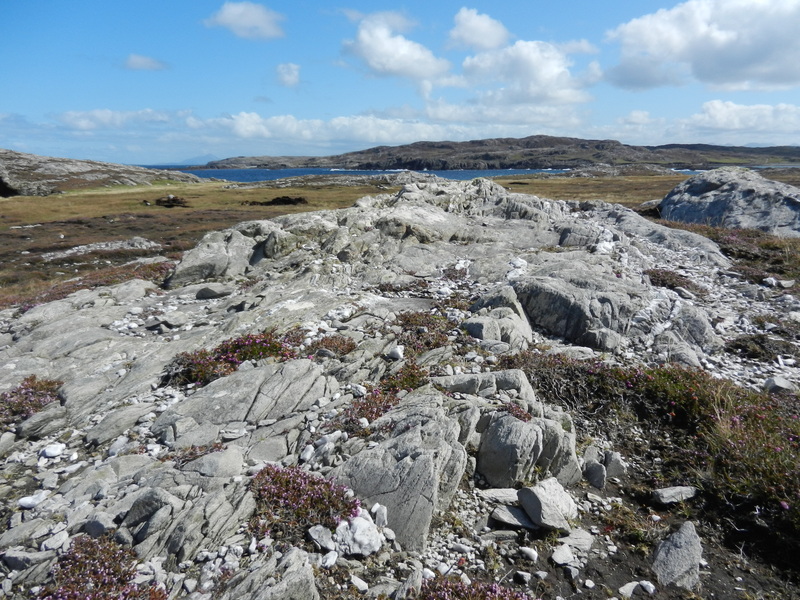 Rocks and seaweed - inishbobin has lots of both. 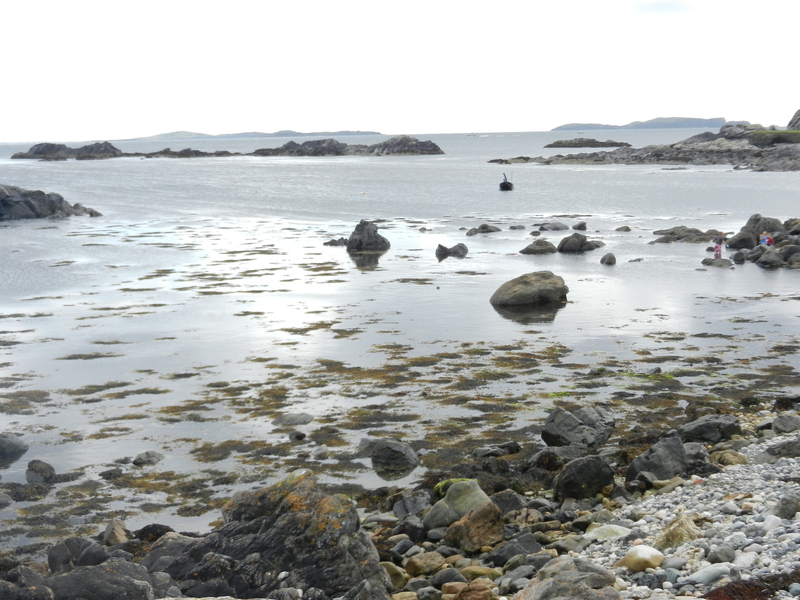 Typical view on the North-West coast. 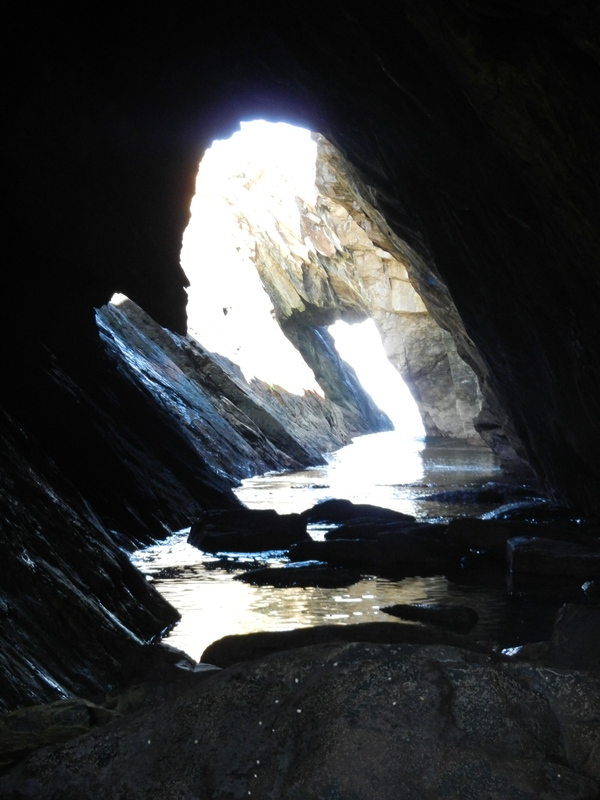 The secret cave we found after picking our way through a peat bog. 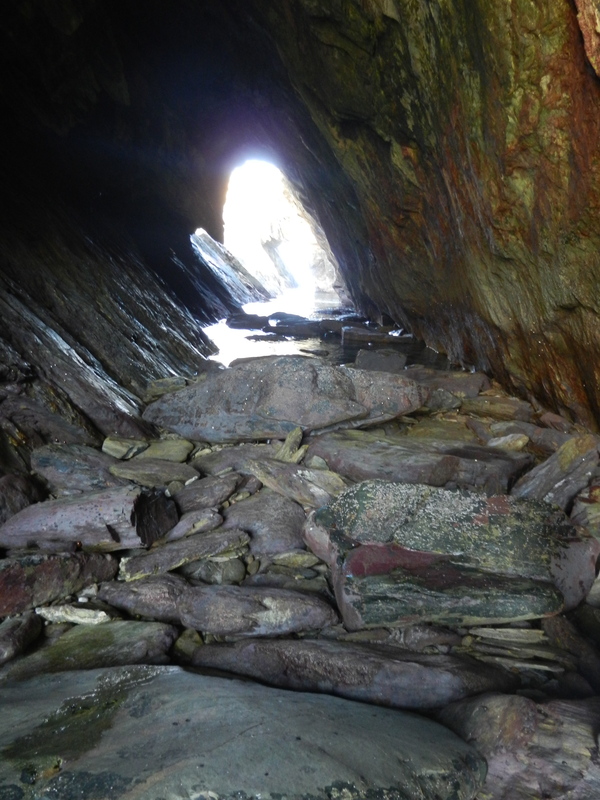 Inside the sea cave on inishboffin.The cave was in two part with a skylight in the middle. 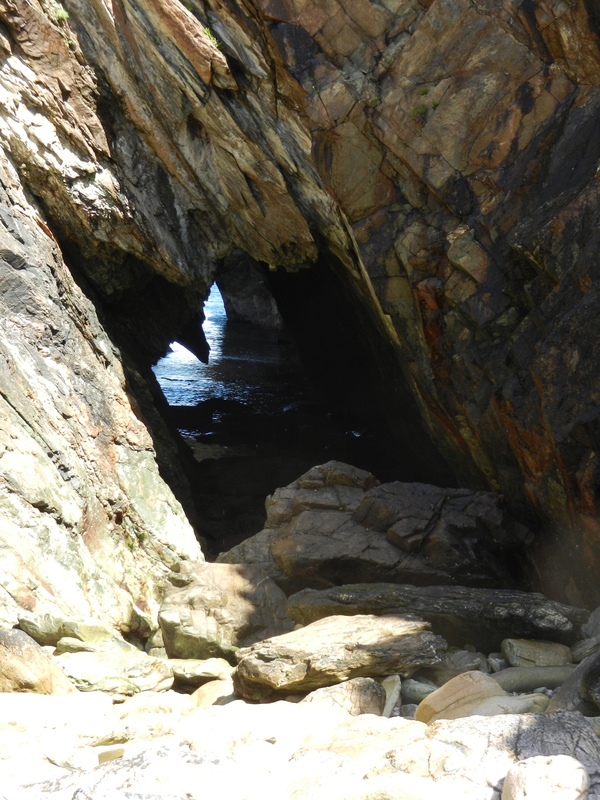 More of the cave where we had lunch out of the wind. Callum watching the world go by. 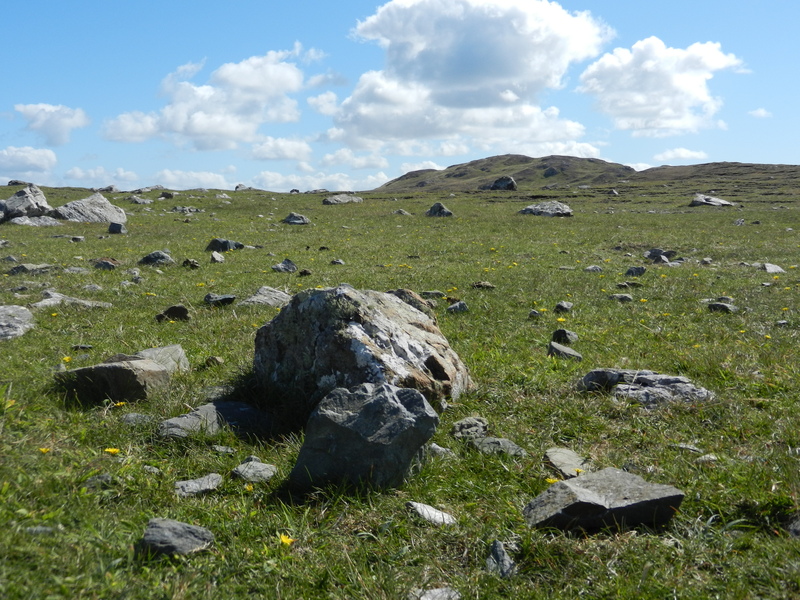 Boulders left behind by receding glaciers. 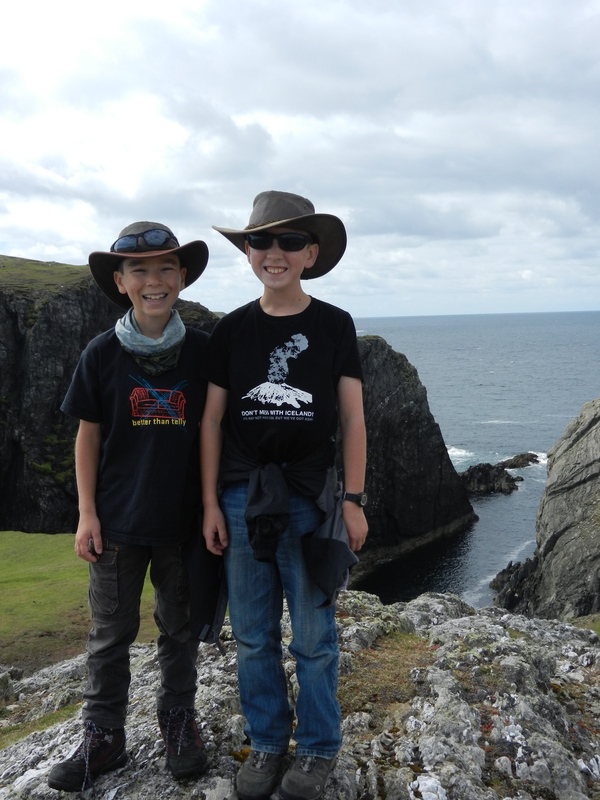 The boys by the cliffs. Walking the long green road. 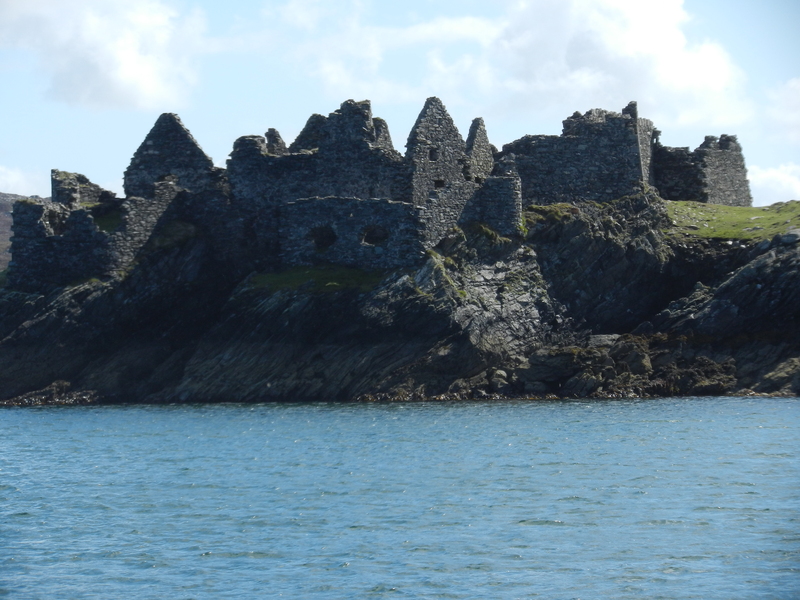 Cromwellian fort on the way out of the harbour at the end of the day. We joined everyone else in heading for the local market-town this morning. 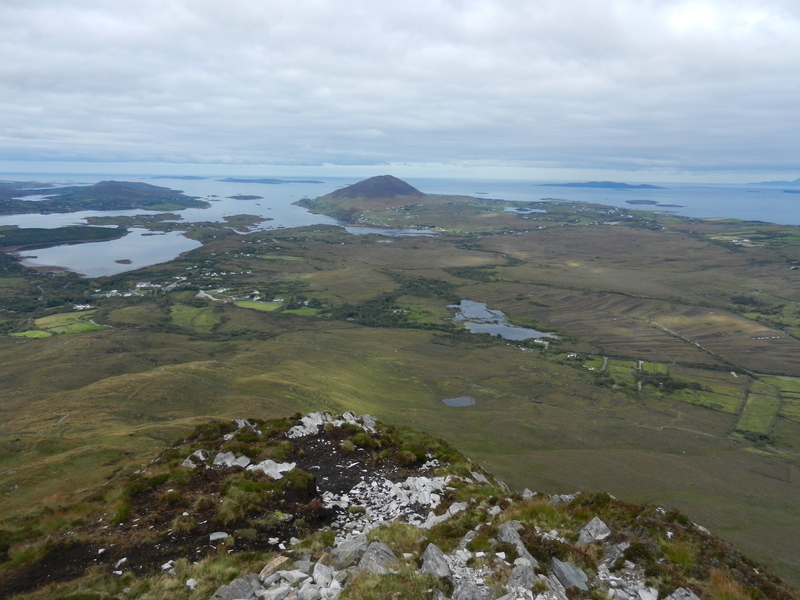 Clifden has a population of around 1300 and is home to three supermarkets and numerous pubs. 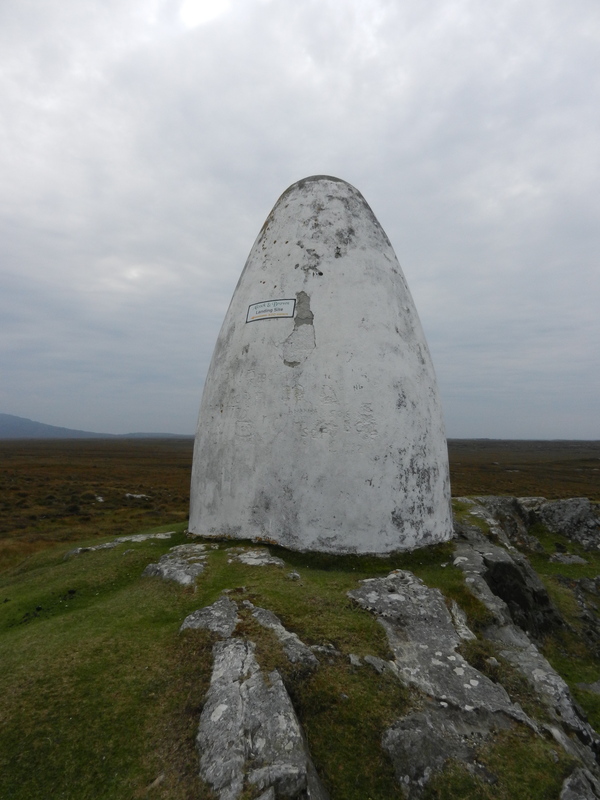 It has a history tied to being on the opposite side of the Atlantic to the USA – the first non-stop trans-Atlantic flight landed down the road and Marconi built the first trans-Atlantic telegraph station here. We, in a far more prosaic fashion, did our grocery shopping and browsed the local bookshop. 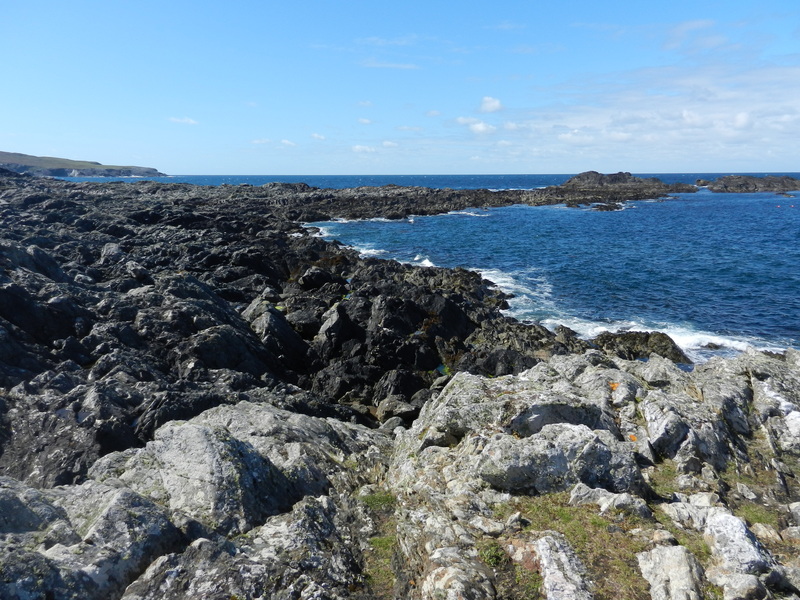 After lunch it was a walk around the house, down the road to the headland of our little inlet from the Atlantic. Looking out to sea there are many, many islands in view with little boats wending their way between them. Crab fishing is a major traditional industry around here and we found quite a lot of crab bits along the shore. 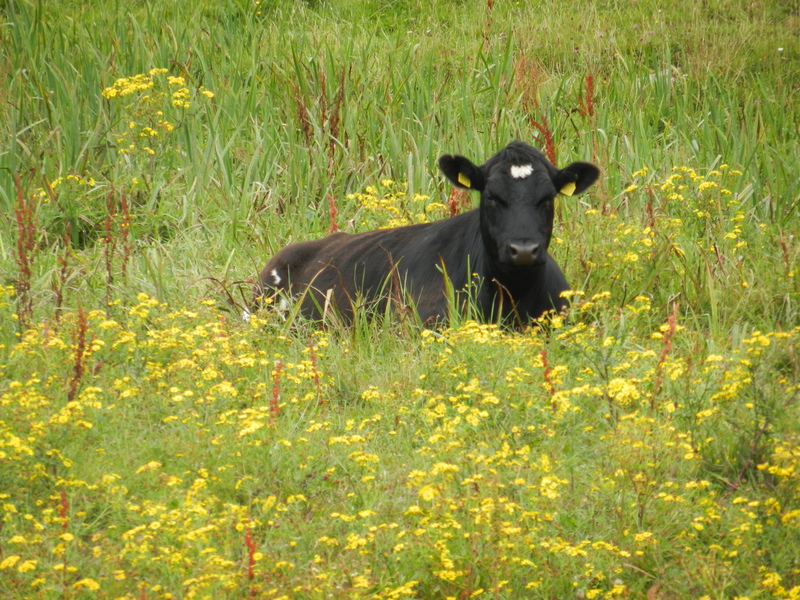 We were accompanied by a variety of local dogs and met up with several horses and cows along the way. 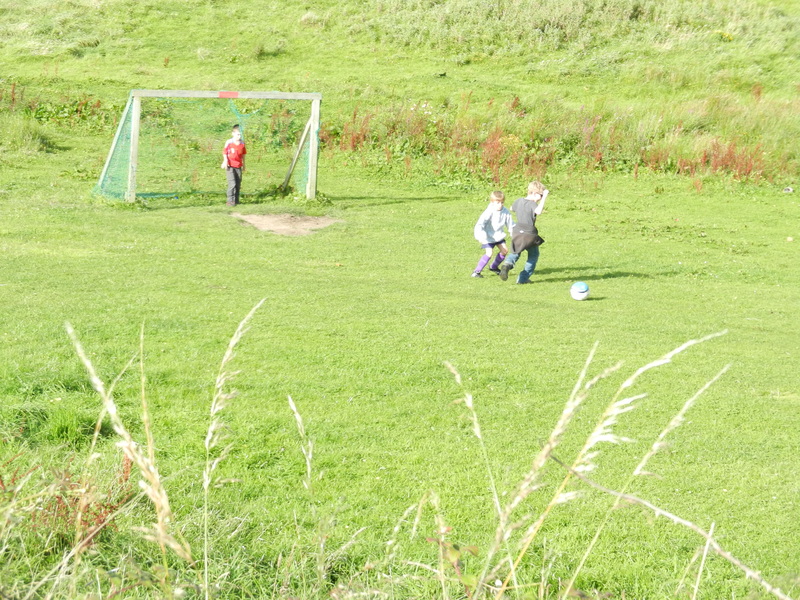 Upon returning home, the boys found some locals of the same age and a game of football ensued in a local field. That was followed by a water-balloon fight and hide and seek. Cal added to his countryside experience by finding out why barbed wire came by its name and ending the useful life of yet another shirt. The road to, well, nowhere really. The view from our house as we arrived. Ireland is another country. I mean I know Ireland is not the same country we were just in. After a long day of traveling I’m only too aware of the fact we’ve moved. But Ireland is place unlike other places. It is just different. 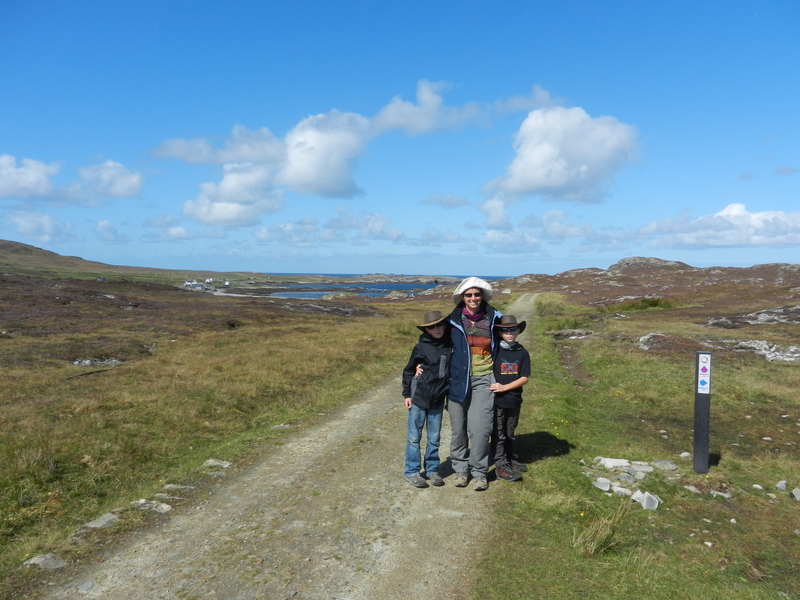 We’ve come all the way to the far West coast of Ireland in Connemara. In fact we’re about as far West as you get in Ireland; Alcock and Brown landed their record-breaking trans-Atlantic flight just up the road. And here the light is unique. There’s a golden tinge, a hazy glow to everything that is quite other-worldly and unlike anywhere else. 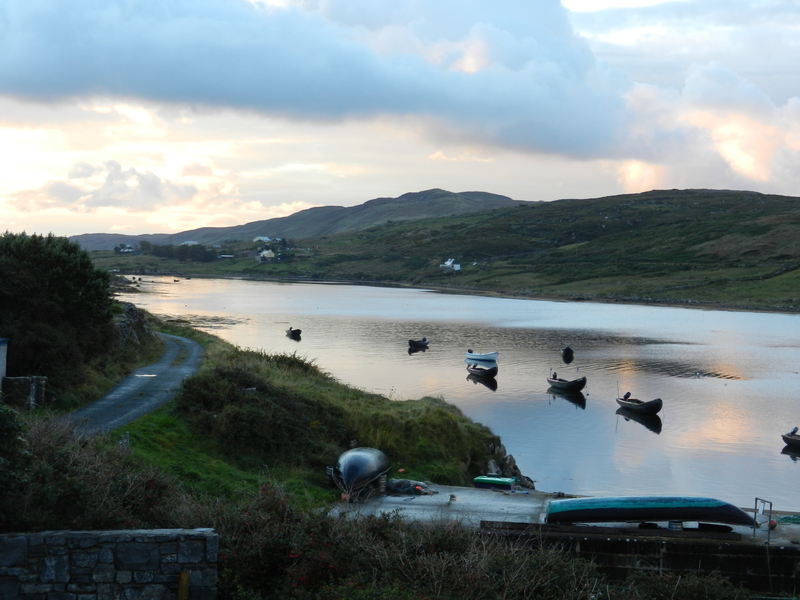 We’re staying in a house above a rocky inlet with curraghs moored below. There are cottages dotted around and a little wharf directly beneath us. Behind us is a field with two cute little donkeys in it, one of which is so young it is still stumbling about uncertainly. The house is owned by Paddy who also owns the hardware store in the local town. He’s a lovely Irishman with a mop of grey hair and an old-world charm which matches the braces he wears. 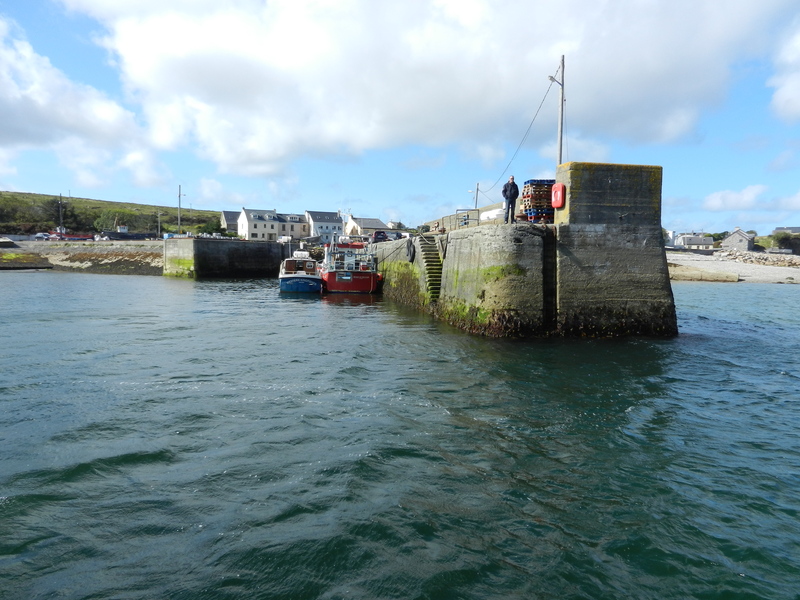 After showing us around the house, Paddy proceeded to don his oilskins and life jacket, pulled his curragh in from its mooring and then set off for the three-mile trip to the island on which he lives. 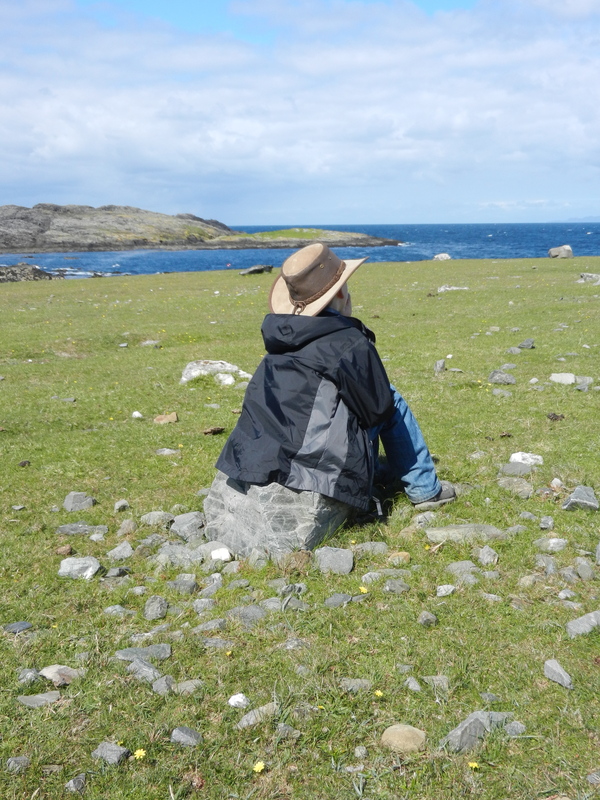 When I asked Paddy which island it was, his response in a perfect Irish brogue was “Ahh, ’tis the one on the left.” While that left us none the wiser as there were no islands in sight, he did offer to take us out there one day.